Activities were halted briefly on Thursday around the Industrial Area of Shell Petroleum Development Company in Rumuobiakani community in Rivers state. 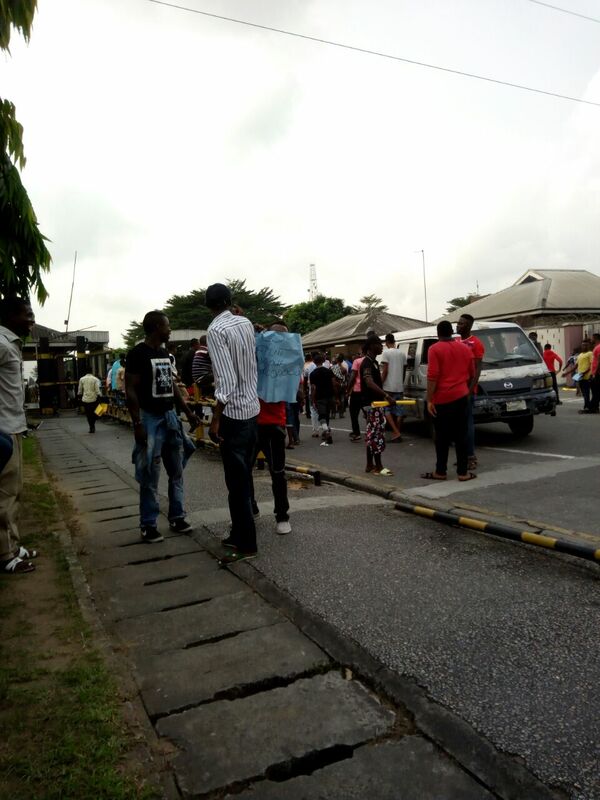 This is as scores of youths from fourteen communities in Kalabari ethnic group in Rivers State marched to the company to protest the alleged failure of the company to remit money accrued from the Global Memorandum of Understanding it had with their communities. The youths were from the Degema three Cluster Development Board. Chairman of the board, Christian Sekibo who addressed newsmen shortly after a brief meeting with management of SPDC, said the protest was to inform shell that it has failed to perform its responsibility in these fourteen host communities. Shell General Manager, External Relations, Igo Weli in an interview with journalists attributed the delay in the payment of the GMOU money to settlement of outstanding issues affecting the communities and partners of the company.